Alright, let’s get serious. We love making cappuccinos with hearts engraved on top, we crave the dijon sprout salad pretty much any day of the week, and we just can’t get enough of those Whisked! salty oatmeal cookies. But when push comes to shove, what drives us all, what brings us back to the corner of Florida and California every day, what helps us get through the unbearably sweaty summer days of DC, are pops. Over the years we’ve tried out over 200 flavors, some of which are available year round, while others come and go depending on the season. Today I’m going to share some thoughts (maybe even some behind the scenes secrets) about two favorite flavors, one which never leaves the menu and the other finally making it’s return to our collection. 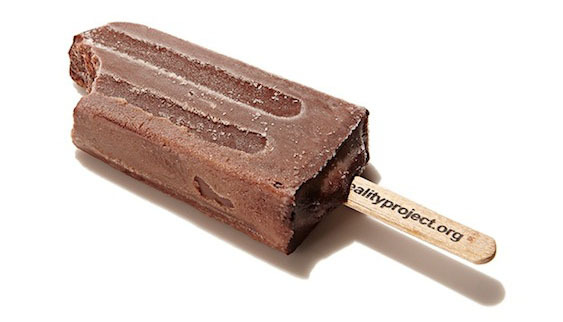 The Vegan Mexican Chocolate pop, or VMC as the experts like to say, is awesome. A little spicy, a little sweet, and always surprisingly creamy, the VMC pop is a staff favorite. Now don’t be discouraged by the “vegan” title; originally there were two versions of the pop, one made with Trickling Springs whole milk, the other with coconut milk. Both were yummy, though the latter seemed to lend a unique balance thanks to the coconut undertones (plus being dairy free was a nice bonus for our non-dairy eating friends). Add some cinnamon and cayenne pepper, find the sweet spot with lots of cocoa, and there you have it. If I haven’t convinced you yet, you should know that in the middle of an especially brutal Massachusetts winter, my mom would email me, just to tell me how much she was craving a VMC pop. Now that’s love. Debuting last fall, our Orange Chai pop was created after realizing how tasty our homemade chai syrup actually is. After a few trial combinations, it became apparent that orange would be the perfect tangy flavor to compliment the spiced sweetness of the chai. With a splash of black tea as a base, our chai is made by carefully adding star anise, cloves, nutmeg, and several other spices until the right balance is reached. Though it’s typically steamed with milk to make a Chai Latte (or even with apple cider to make our beloved Chaider), our chai is now especially delicious frozen, with added citrus, and licked off a stick. Stay tuned in the upcoming weeks for more pop news. And don’t worry, the ever popular Guac pop will be back soon. And who knows, maybe I’ll spill some secrets on that guy too!